BKS Iyengar was a man who brought Yoga into the western world limelight by teaching yoga to the virtuoso violinist Yehudi Menuhin who noticed a phenomenal increase in his balance and autonomy whilst playing the violin and shared this experience in an BBC interview with David Attenborough in 1963. Yoga is a fantastic tool for life. When you come to yoga, for what ever reason, you can look forward to a new world of movement, thinking and being. Iyengar Yoga is classical yoga taught with an emphasis on alignment. It is as dynamic and challenging as it is gentle and restorative. Learning yoga takes time, practice and commitment. Then it’s true essence can become integrated into your life. Suzi Chin Silicz is the principal teacher at New Generation Yoga. She is an experienced Ji Certified Iyengar Yoga Teacher and has taught extensively around Sydney. Suzi brings 35 years of yoga practice and teaching to inform classes based in the Iyengar tradition. Suzi also teaches regular classes, courses & workshops in Sydney at The Yoga Centre East Redfern, – An Iyengar Institute, and The Garvan and Victor Chang Medical Research Institutes. Suzi studies with Caroline Coggins, the Iyengars in India & Australia and Stephanie Quirk. 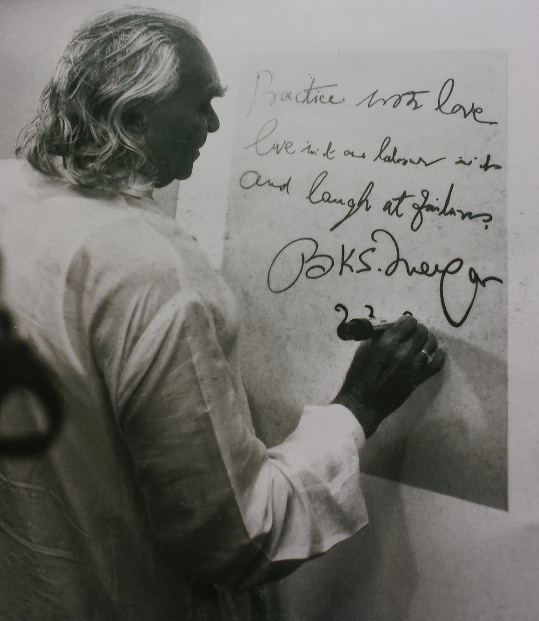 All Iyengar Certified teachers are members of The BKS Iyengar Yoga Association of Australia. The Association and Iyengar Yoga has a rich history in Australia.